When I became a priest, a friend bought me a cologne called Pope Cologne. I am wearing it today in honor of the pope’s visit to the United States. It is an exciting thing that he is here. I figure if I can’t be there to greet him, at least I can bring his scent to Greenwood. But I want talk about another scent, the scent of envy. 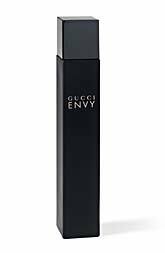 Now I’m told that there is a perfume called Envy. I saw a commercial for it. It is a rather strange name in my opinion, but I’m sure the company that makes it did their research. They probably discovered that envy has made a home in the hearts of a good many people, that many people identify with that word “envy” because they have lived through very difficult moments of it, moments they never speak of but keep them up at night. We see it in the scriptures. In our first reading, over 1000 years before Jesus, we see a group of the unjust trying to tear down the rest out of envy. Our second reading is from St James, who identifies envy as a real problem in the early church. Our second reading is his pastoral letter, meant to address it. And then we find the disciples in the Gospel bickering about who is best, who has the most, who is better. They suffered from envy. The scent, the spray of envy covers the walls of our schools, workplaces, and homes as well. It looks like the 7th grade girl who just wishes that her hair were as pretty as Taylor Swift’s (I hear she was just in town), or that the boys would notice her like they notice that other girl. Envy looks like the sorrow that comes with not being invited to a party or not having sufficient Instagram likes or as many touchdowns as that other guy. And what about our workplaces and homes? Would that my job were as easy as that guy’s who gets paid twice as much as I do, would that my marriage were as much a walk in the park as hers, or would that my kids would make something of themselves like Doreen’s. Envy. Sometimes, in its extreme cases, envy makes people wish they were somebody else. Many people suffer so much from feeling less than all their lives, from not measuring up or seeming to have anything in comparison to others…they deal with so much hurt, so much wishing that they had somebody else’s looks or skills or popularity or money….that they end up wishing they had that other person’s life. And that breaks God’s heart. He made each of us as we are, warts and all, for a reason. He loved us into being, the way we are. A wise priest once told me that one hallmark of having reached Christian maturity is that we can say, honestly: There is no one else I’d rather be. This is not a thing of pride; it is to realize that God planned you and me before creation, and creation would not be complete were it not for any one of us. That is a happy thing. Now that doesn’t mean we shouldn’t want to get better. There is such a thing as holy envy. It has to do with seeing holiness in others and that spurring us on to greater holiness. That is a good envy, a kind of envy we ought to want to be sprayed with. It’s okay to wear the pope cologne because I should want to be more like Pope Francis. He is a holy man. I want to end with this poem. It summarizes all I’ve said. I made you alone to be.